Delaying tooth replacement when you’ve lost even a single tooth can cause oral health issues. 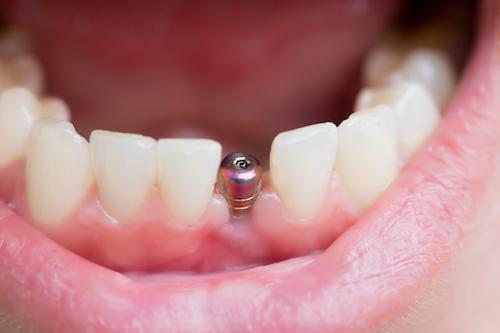 A single implant fills and restores your missing tooth gap. Tooth loss impacts your bone and gum tissue. Your surrounding healthy teeth can move and shift out of proper alignment if the gap isn’t filled. A new tooth root is created by placing a single implant. Each implant is crafted from surgical grade titanium and is secured by oral surgery into your jawbone. Following adequate healing, your new tooth (a dental crown) is attached to the upper structure of your dental implant. Proper care can help assure that your tooth replacement with a single implant can last for more than 10 years. Contact our dental office in Memphis about your missing tooth condition. Schedule an examination to discuss a single implant for tooth replacement.